I'm jealous. Congrats on getting a good car. 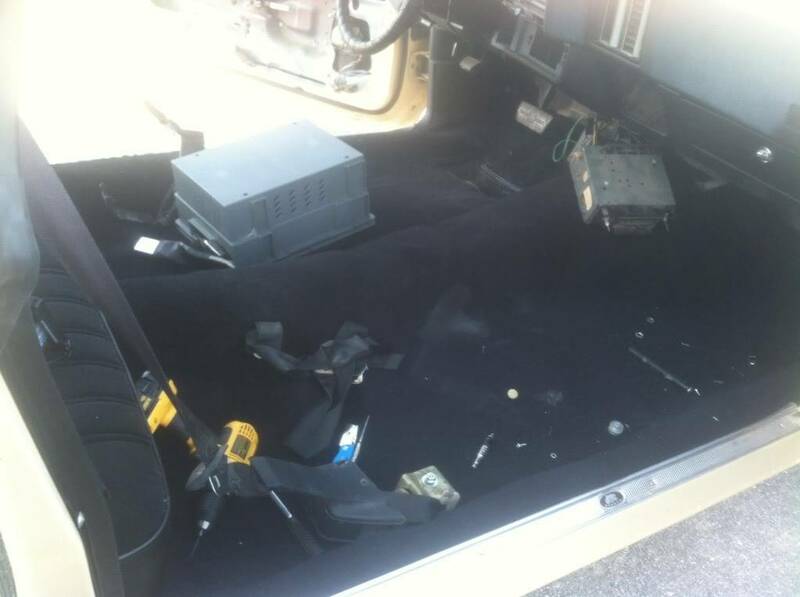 Got the carpet in ok . Of course I had to cut all the holes out for the seat belts but no biggie . I'm raising the front seat up nearly an inch as I did think it sat to low for me before . If it doesn't work out I'll just take the washers out the bolts . Hey looks great ,where did you get the carpet from? What was the mfg on the box? ant7377 wrote: Hey looks great ,where did you get the carpet from? What was the mfg on the box? Can't remember exact price but I wanna say around $120 . It's a cut pile black moulded and was a good fit . Yeah thats the right place to get it . I got one from them for my 77 years ago I should have bought the one for the 73 from them too. Is it hard to get unmolded carpet to work? Yes. 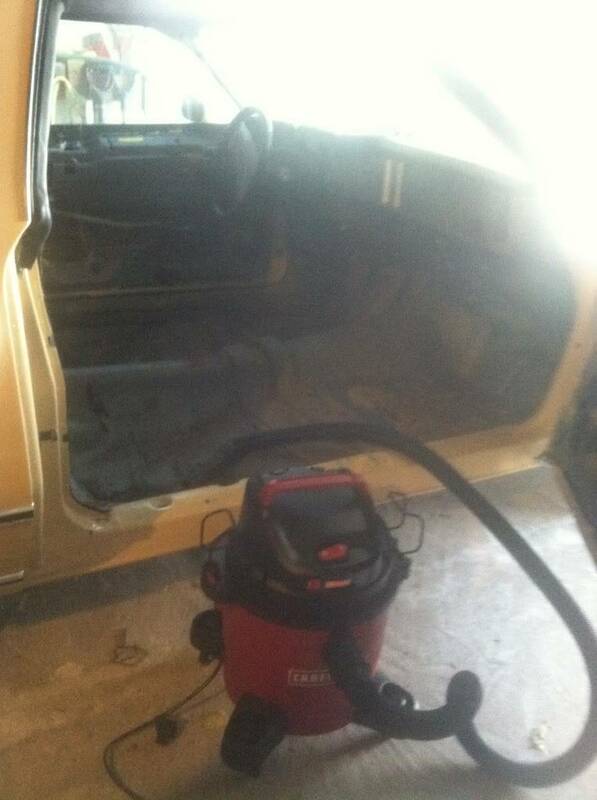 Unmolded carpet will bunch up in the corners of the floor pan depressions, most notably where your gas pedal is. However, if you are willing to do a little surgery, you can slice those off and use the carpet glue-tape to seal it up from the backside, essentially making your own molded carpet. The upside is you can get a nifty remnant for cheap from a carpet store, and have something non-standard. The downside is the work, and the glue tape is messy. I see. I am thinking about ditching the carpet I have and buying molded carpet now. Phew ! All in and looks good . 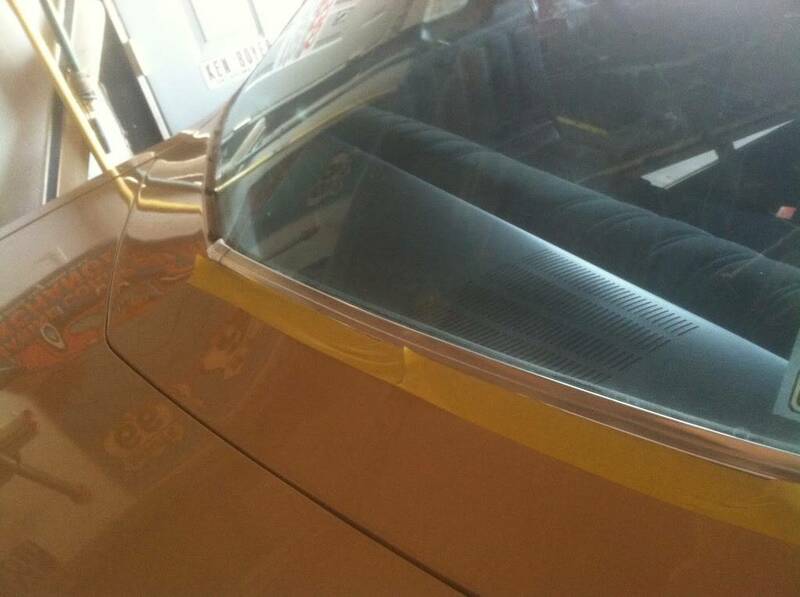 Did you use the window ribbon stuff like original or a fat bead of sealant for the glass? 77mali wrote: Did you use the window ribbon stuff like original or a fat bead of sealant for the glass? I posted this on another thread...just FYI...I don't know if montes/chevelles share the same type of ribbons or if montes (& other notchback G3's) are completely different. Just don't want your glass popping out. 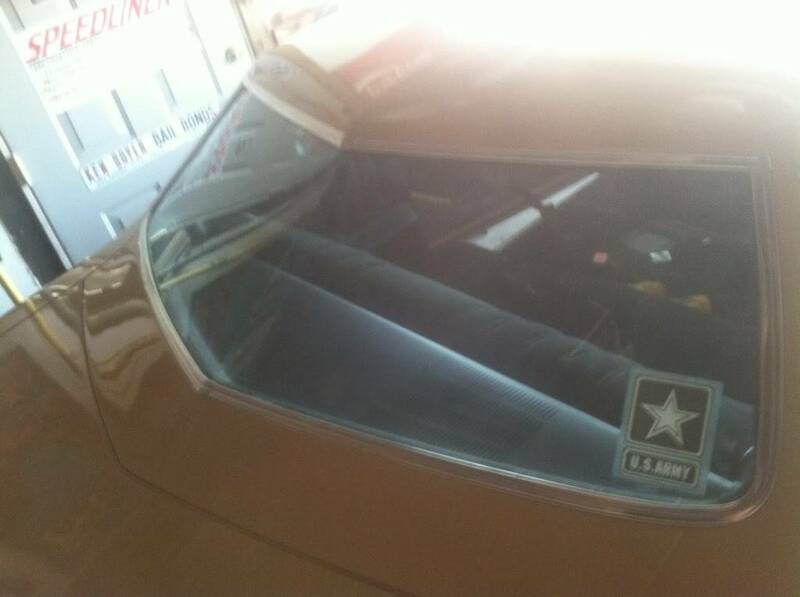 77mali wrote: The back glass & windshield both had a "window ribbon" installed in the channel. It's made by 3M and it's avail in 5/16, 1/4, & 3/8" thickness. You need a primer also for the channel prior to the ribbon install and a fast cure urethane to seal in the channel as well to keep any standing water out. Most of the glass places I've talked to don't even want to use it because it's so much easier for them to just lay down a big a$$ bead of urethane sealant & that's it. I'm going to do this the old fashioned way...LOL. Here's a good article on how to do it- best one I've found yet. 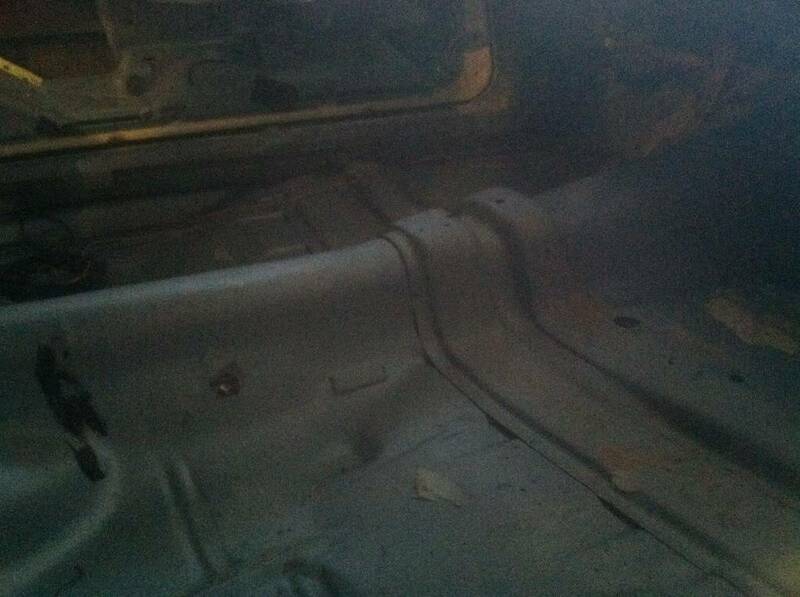 My original factory rear window seal was what could best be described as a giant fan belt -- it was of similar layered construction with a rubber outer surface. I can only assume it had originally been coated with some sort of sealant which had long since failed, allowing water in. When I replaced it, I used the standard butyl tape. While it works, it doesn't conform as easily to the glass as the urethane the installer used when I had the windshield replaced. Plus, it wants to stick to everything but what it's supposed to, so you have to make sure your hands are wet when you work with it. The plus side of urethane is that it does a stellar job of sealing the window and it's very forgiving of irregularities in the glass, the placement, or the window channel itself. However, if I have to remove the windshield at some point, I'm expecting it will be a much bigger PITA than the butyl tape to remove. 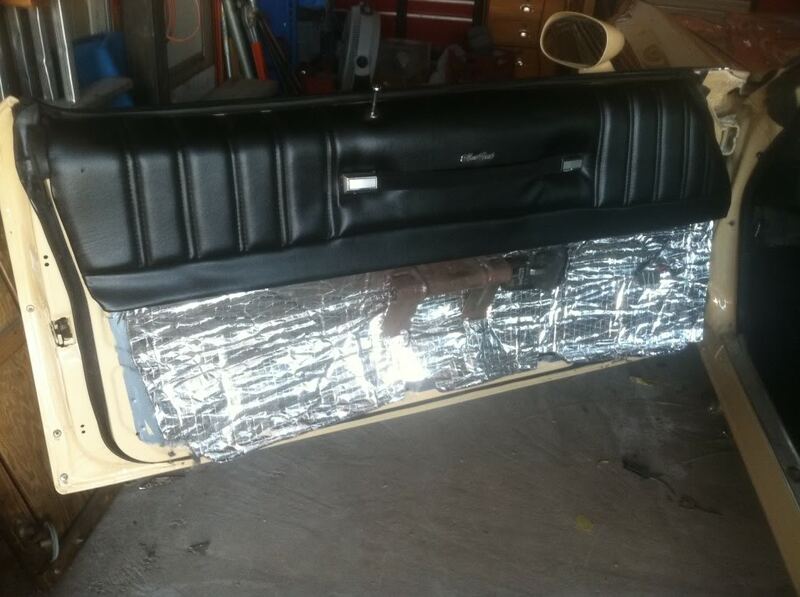 Door panels went in ok after a fight . 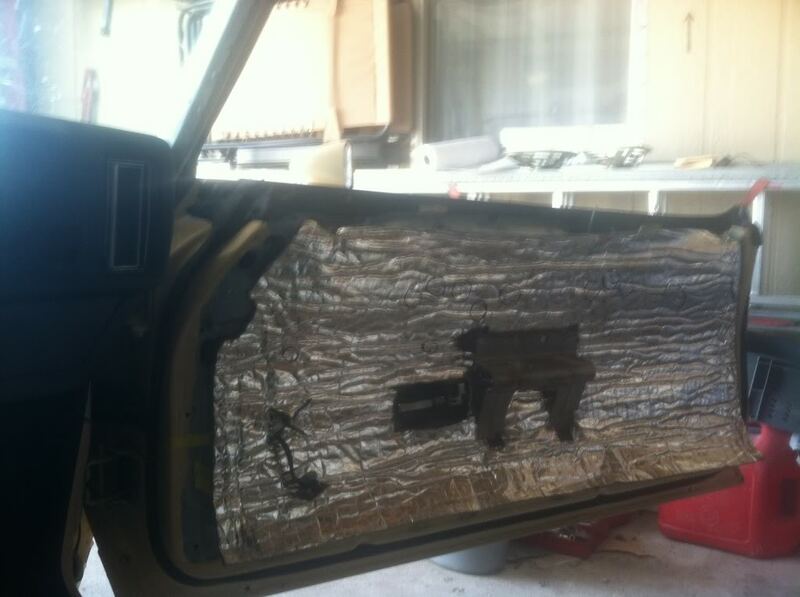 I hate my lower door panels because they are falling apart . Will be looking out for some replacement ones later . 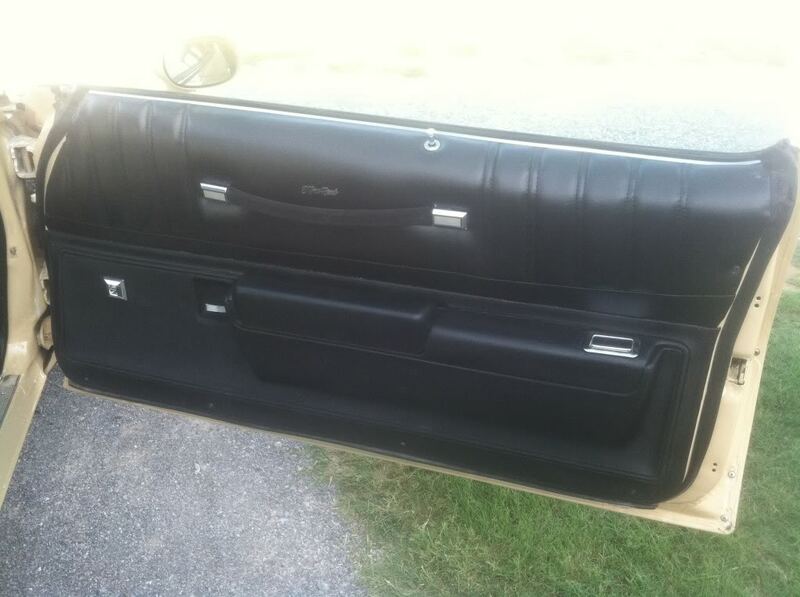 I have the screw holes in my doors for that nice pull strap but my stupid Chevelle didn't have them...Got any extra's Chris (black ones)? Here is what I have , power window manual lock . The sun just ruined them over the years . You can't really tell in this pic . Looks great from the pic.